Email marketing is a great way to connect with your customers, subscribers and prospects at a low cost. When done right, it can generate profit and leads. In conjunction with a strong website and customer service, it is a fundamental part of digital marketing. Here are 5 email marketing tips for your business. It’s important to personalize your copy. Readers should feel you’re writing to them individually, not as one big unknown crowd. Be friendly and show that you understand their concerns and questions as professionals and as human beings. In addition, include a real name in the from address, not something impersonal like info@companyname.com. With many email marketing and CRM platforms, it’s entirely possible to use a generic email address as a reply to email. That means you can send an email “from” an employee, but if a person replies to that email it will be sent to the designated email address. 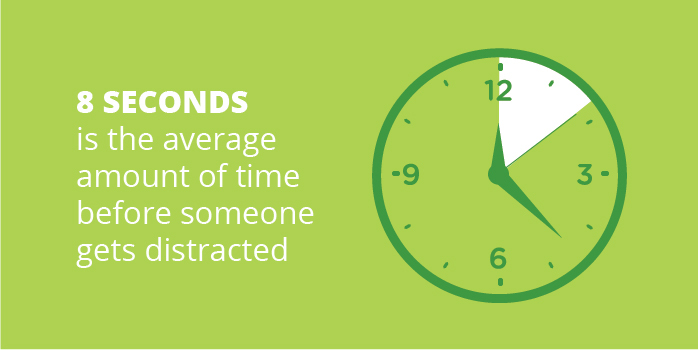 This can help prevent one employee from being bombarded with out-of-office replies. In the case of email marketing, quality beats quantity. Once you make the decision to incentivize website visitors to sign up, you need to be prepared to send deliberate content on a regular basis. You can determine the rate at which you will send campaigns once you determine how often you can produce content that is important enough to share. From there, create a realistic email content calendar. Depending on your industry, your audience and your bandwidth, you may be sending digital content once a week, biweekly or even once a month. Be consistent, but also realistic and tactical. If you need assistance creating routine, high-quality content, outsourcing to a digital marketing agency is always a viable option. Emails sent to paid lists often get very low open rates and they can even get you shut down by your email marketing platform. By building your own lists through content marketing, you’ll be sending to people who have opted in to receive content and communications from you. They have expressed explicit interest in your industry, your knowledge, your company and/or your products and services. While these people are interested, they are likely not yet experts. Stats can be compelling, but industry jargon can be confusing – the problem is, sometimes using it is unavoidable. This is where tools like infographics and videos come into play. Incorporate more interactive content in your digital marketing campaigns as a way to better get your point across, and quickly. Did you know that visual content can increase learning by 400%? See more on the benefits of infographics here. There are plenty of articles out there that will tell you the optimal days and times to send an email. While that’s a great place to start, it’s not a guarantee for your industry, for your product, for your audience, etc. The best way to learn what works is from your experience. Track, analyze and review every email campaign. What time are your subscribers opening, clicking, sharing. Are they responding to your call to action? If not, it’s time to try something new in your next campaign. Another great way to get insight into your subscribers is A/B testing. You can test anything and everything: subject lines, colors, image placements, types of content – anything you want to know about you can test. Will a question in the subject line lead to more opens than a statement? Will humor in your copy lead to more clicks than a more serious tone? Will an orange register button get more clicks than a blue one? Identify what you want to test, send two separate versions of an email and then look to the data to see which option “won.” However, if you test too many things at the same time, it will be hard to definitively say what caused the user to take action (or not take action). Testing may lead to you segmenting your email list even further based on subscriber behaviors and interests, bringing us back to point #1. You can’t be personal unless you get to know your audience. Promising something and then not following through delegitimizes your brand. Including an incentive in an email sign-up is something we see quite often, however too often companies don’t deliver on that promise. Don’t be another statistic! If you’re going to say, “Sign up for exclusive offers,” then you need to send subscribers offers on a somewhat regular basis. This could be a promo code for your online store, free shipping, a free EBook—the list goes on. Determine what your subscribers value, offer that value to them and then deliver. Making email marketing an integral part of your digital marketing strategy is a big commitment. Are you ready to dedicate the time and manpower to create, execute and analyze campaigns? Email campaigns can uncover great, actionable data, but it can take time to obtain those kinds of results. Testing and gathering data will help you understand your subscribers’ likes, dislikes and behaviors which, in turn, will lead to better open rates, clicks, shares and conversions. Beyond that, it establishes your business as a thought leader or subject matter expert (SME). If subscribers trust you, it can only lead to better things. Want to learn more about implementing an email marketing strategy? 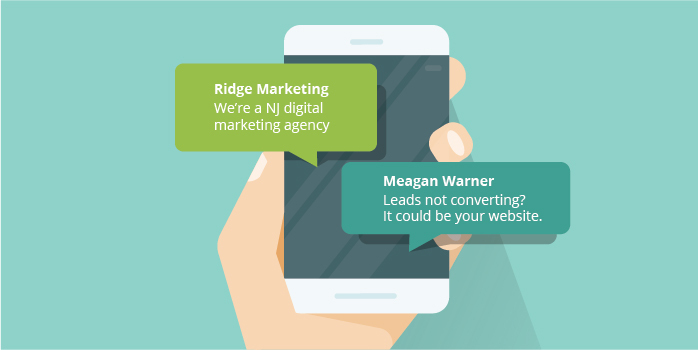 Ridge Marketing specializes in digital marketing, web design and SEO. Contact us to learn more about what we can do for you.